Democratic Gov. 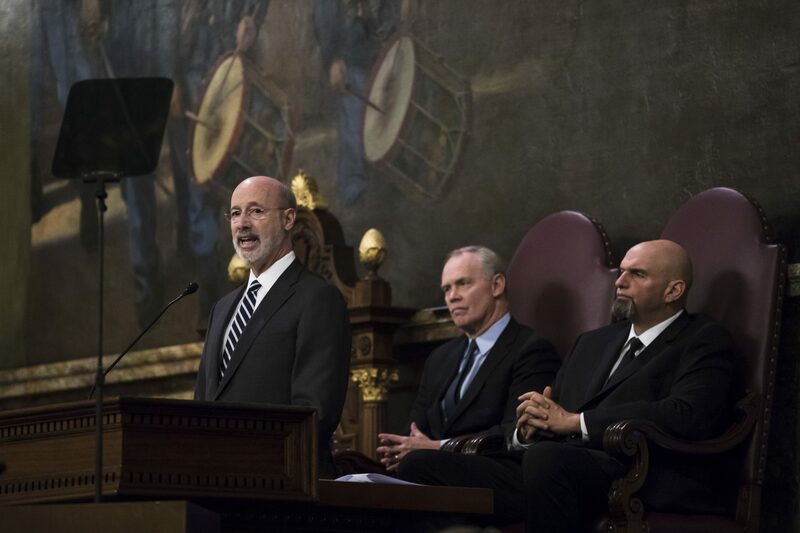 Tom Wolf, left, delivers his budget address for the 2019-20 fiscal year to a joint session of the Pennsylvania House and Senate in Harrisburg, Pa., Tuesday, Feb. 5, 2019. House Speaker Mike Turzai, R-Allegheny, is at the center, and Lt. Gov. John Fetterman is at the right. PA Post reporters will be providing analysis of Gov. Tom Wolf’s budget proposal for 2019-20. To see the notes, click on the yellow areas. To make your own annotation or to comment on one, sign up for a Genius account.